If you are creating a program for a funeral or memorial service, you may find it useful to use clip art images featuring a casket or urn. 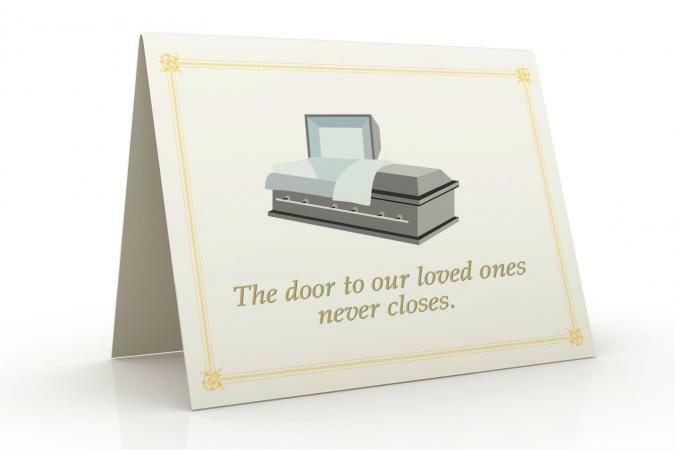 Funeral and coffin clip art can also be used to enhance a memorial tribute website or a scrapbook honoring the memory of a loved one who is no longer with you. Use one or more of the free images provided here for these types of projects as well as any other non-commercial uses. 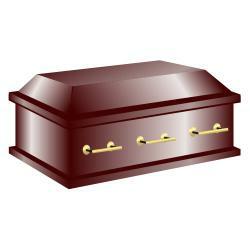 To use the free images of caskets provided here, save each one that you want to use to your computer. Once you have saved the file, you can upload it to the document file or website of your choice. Windows users: Right-click on an image and save to your hard drive. Three distinct depictions of open and closed caskets can be used for many printed funeral projects. 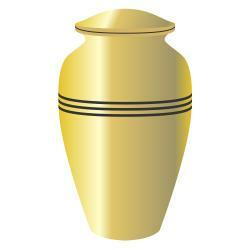 This brass cremation urn clip art may be a better choice for situations that don't involve a traditional burial. If the free clip art images provided don't meet your needs, one of these resources may work for you. 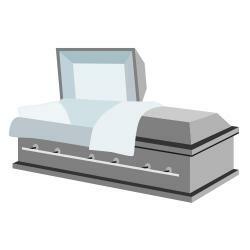 Casket with a cross: If you would like to include a religious theme in your project, this stock illustration from kisspng is a good choice to consider. It features a simple wooden casket with a large, gold-tone cross on the top. You can download the image for free. Funeral service: If you want to use an image that shows family members in mourning, this stock illustration from CoolClips may be a good option. It's a full-color image of family members gazing upon a loved one's casket in a church setting. There is a priest in the background. Downloads range from free to $1.50 depending on resolution. 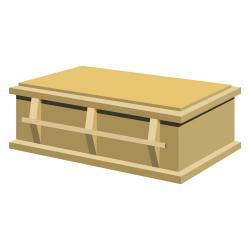 Line art coffin: This black and white image from ClipartOf is a line art drawing of a coffin. It has a retro feel and features quite a bit of detail and has a cross on the top. You can download a .jpg or .png version for $10, and an .eps vector file costs $50. Cremation urn: If you prefer to use a cremation urn, you may like this black and white line art drawing from FotoSearch. The artwork features two urns - one image simply shows an outline of the urn with a cross on the front and the other has the additional feature of a twig. Both images include flames. Downloads range between $3 and $12, based on resolution. The right artwork can help you create a beautiful tribute to a loved one. Choose an appropriate design and pair it with comforting words that family members will treasure forever.